Finding the right mascara can be harder than it seems. The expensive ones isn't necessarily going to work better and the cheap ones isn't really going to save you money and hassle if it doesn't work well. I have tried a bunch of mascaras and although I have a couple of favorites, I still don't have a holy grail mascara yet (still looking). It's easy to find a mascara that can lengthen lashes or add volume or waterproofs or adds definition and so on. However, it is hard to find a mascara that covers all of that and then some. Which is why I am always on the hunt for new mascaras to try and I am always hopping to find my perfect holy grail mascara. 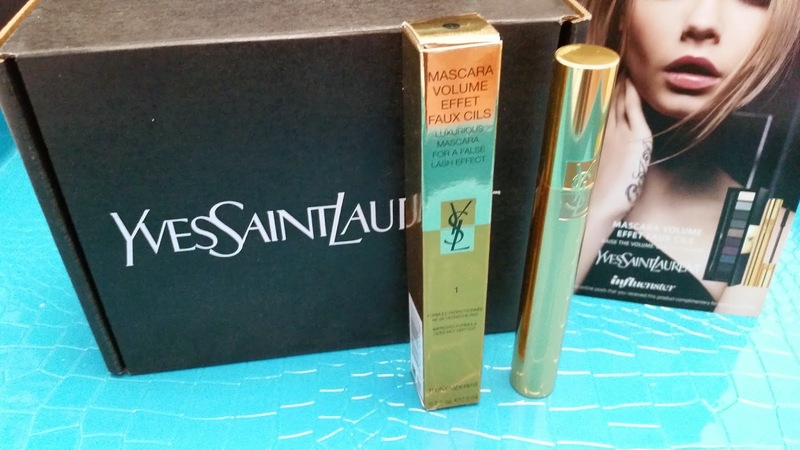 I was super excited when I found out that I would be receiving YSL's Mascara Volume Effet Faux Cils to try and review from Influenster. I have been with Influenster for a long time now and I still don't understand how their system works, in terms of how they pick who gets to receive and review what. I am sure luck has something to do with it. 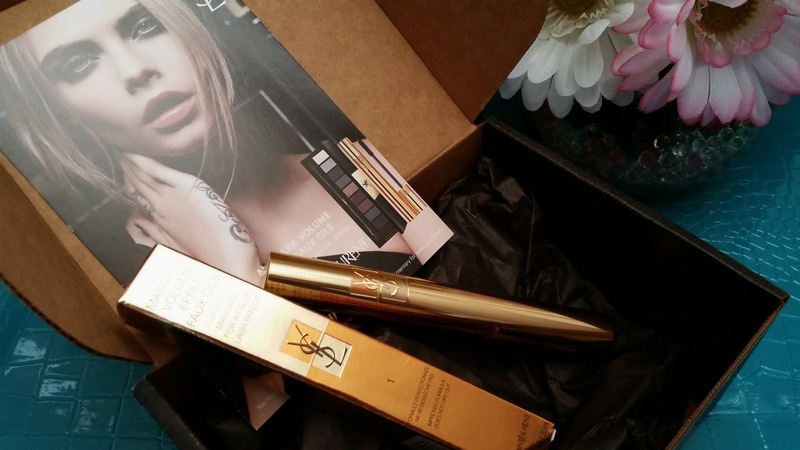 Or at least I feel like a lucky gal whenever I receive something from Influenster. 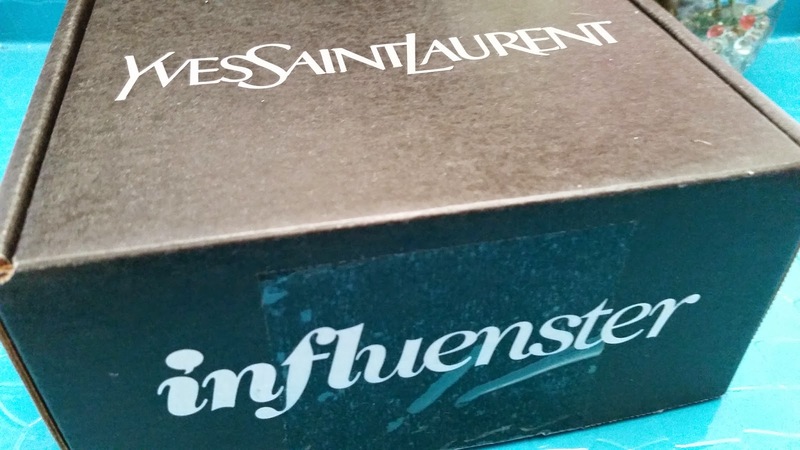 If you are unfamiliar with Influenster, that's okay, I will explain. Influenster is a company that qualifies users for free product reviews via the measure of their influence. A user's influence is measured multiple ways through various social media sites such as Facebook, Twitter, Instagram and so on. Based on a user's influence, they can be invited to campaigns featuring digital and material rewards, such as this one. It is hard to pin point exactly how Influenster calculates a user's influence, so I can't give you much details on that, however I am sure being active on social media will help. Currently, Influenster is only open to US and Canada, you can join and find more information here. 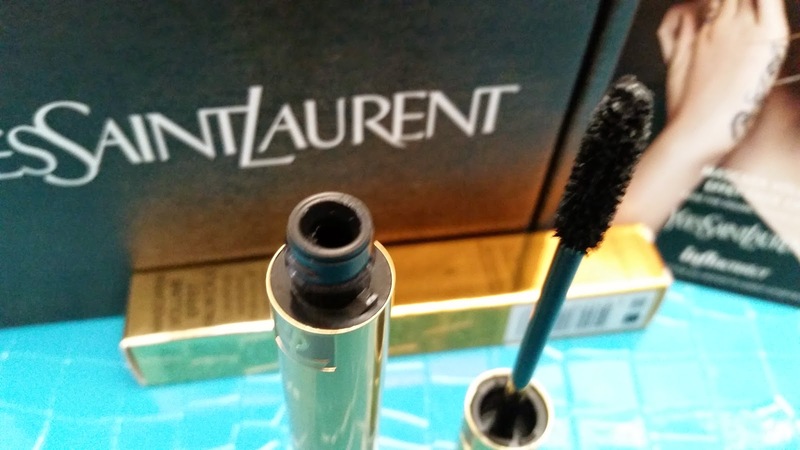 Product Description: The Yves Saint Laurent Mascara Volume Effet Faux Cils promises dramatic false lash effect and high volume. It comes in 6 colors and the one I received is High Density Black. The other 5 colors are Rich Brown, Extreme Blue, Fascinating Violet, Deep Night, and Burgundy. Its special formula is non-drying and enriched with B5 pro-vitamin. B5 pro-vitamin will strengthen and protect lashes from the root up when applied. The nylon brush will coat each lash with this formula from root to ends and provide intense color, volume, and care. Ingredients: AQUA (WATER) . PARAFFIN . STEARIC ACID . CERA CARNAUBA . TRIETHANOLAMINE . CERA ALBA (BEESWAX) . C10-30 CHOLESTEROL/LANOSTEROL ESTERS . NYLON-12 . STEARYL STEARATE . PHENOXYETHANOL . HYDROXYETHYLCELLULOSE . EUPHORBIA CERIFERA (CANDELILLA) WAX . DIMETHICONE . PARFUM (FRAGRANCE) . TITANIUM DIOXIDE . TOCOPHERYL ACETATE . METHYLPARABEN . ADIPIC ACID/DIETHYLENE GLYCOL/GLYCERIN CROSSPOLYMER . PANTHENOL . VP/ EICOSENE COPOLYMER . BEHENIC ACID . SORBITAN STEARATE . PEG-40 STEARATE . ALGAE EXTRACT . ALOE BARBADENSIS LEAF JUICE . BUTYLPARABEN . ETHYLPARABEN . ISOBUTYLPARABEN . PROPYLPARABEN . [+/- MAY CONTAIN : CI 77007 (ULTRAMARINES) . CI 77499 (IRON OXIDE) . CI 75470 (CARMINE) . CI 77491 (IRON OXIDE) . CI 77019 (MICA) . CI 77742 (MANGANESE VIOLET) . CI 77891 (TITANIUM DIOXIDE) . CI 77492 (IRON OXIDE) . CALCIUM SODIUM BOROSILICATE . CI 19140 (YELLOW 5 LAKE) . CI 42090 (BLUE 1 LAKE) . CI 77000 (ALUMINUM POWDER) . CI 77163 (BISMUTH OXYCHLORIDE) . CI 77289 (CHROMIUM HYDROXIDE GREEN) . CI 77510 (FERRIC FERROCYANIDE) . CI 77288 (CHROMIUM OXIDE GREENS) . SILICA . "3YY07-1"
My Thoughts: I can be quite picky when it comes to mascaras. Waterproof or not is not what I am picky about. After all, it doesn't matter if they are waterproof mascara or not, because in the end I'll still need to wear a top coat to make sure they don't smudge due to sebum and other oils in makeup. What I am picky about is how well the mascara lengthens, does it provide volume to lashes, does it not create clumps, does it have a scent, is it sebum-proof, and so on. Upon first look, I find that the packaging looks nice, posh and luxurious. I expected no less from a luxurious brand. 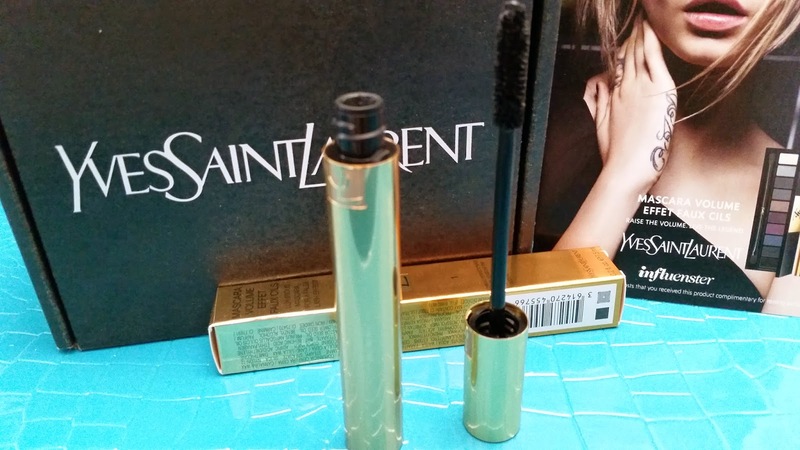 Since this is the newly reformulated YSL Mascara Volume Effet Faux Cils, I hoped that the new formula would do a great job. After all, it needs to justify its $32 price tag. Let's start with the pros for this mascara and we'll get to the cons. 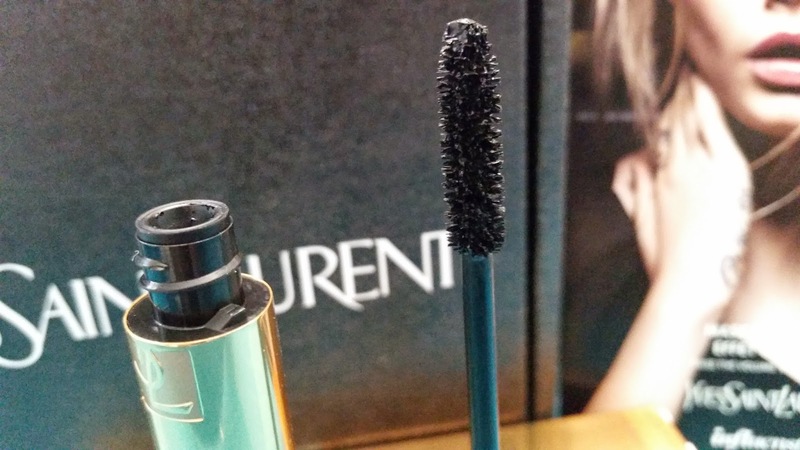 This mascara definitely lengthens lashes. I can easily see that with one coat. It also provides volume, although I would have to apply 2 coats to see some volume and 3 coats to see a bit more. What I liked was that even while I was layering on the coats to provide more volume to my eye lashes, there was no clumping. It might start to clump if I did more layers, but at 3 layers, it was golden. I loved the rich black color I received as well, it really does add definition. Plus, since this mascara is not waterproof, it can be easily removed with eye makeup remover without worrying about tugging the lids or rubbing too hard. The B5 pro-vitamin claims to make lashes softer and conditions, protects, and strengthens lashes from the root to ends. After 2 weeks of using this mascara, I have to say that I honestly can't tell if it did any of that or not. Maybe I have to use it longer before I can see any results. 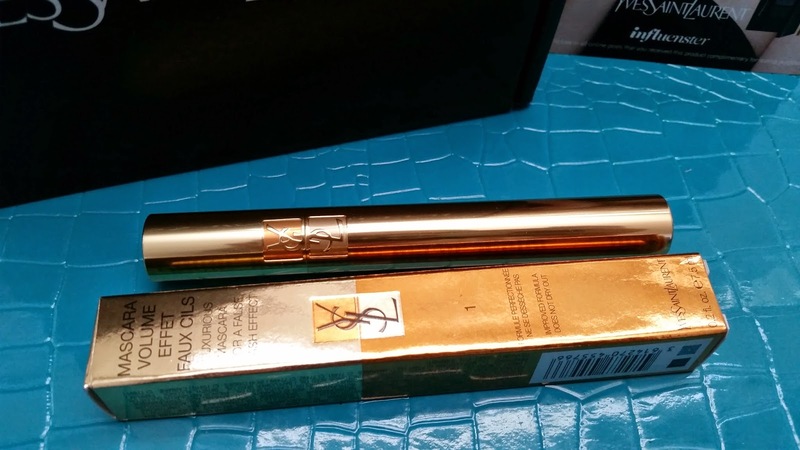 The YSL Mascara Volume Effet Faux Cils has a floral fragrance that is a bit more than mild. Although I have nothing much against scented mascara, I am always afraid that they might irritate my eyes. Luckily, this one did not. I'm not sure why some mascaras have to be scented, I mean no one is going to go up to you and smell your eye lashes. Anyways, another con of this mascara is that it smudges, big time. I can't wear it on its own without it smudging in a couple of hours. This also means that the mascara is not sebum proof ( I will explain that below). I do have semi-oily eyelids and this mascara's formula does not prevent the product from smudging. I always have to use a top coat to ensure that my mascara does not smudge at all throughout the entire day. Actually, smudging is a big issue with pretty much every mascara I've tried, even the ones I love. If I don't use a top coat, chances are I'll look like a panda within a couple of hours. Okay, maybe it's not that bad, but you know what I mean. A common misconception is that waterproof mascara would prevent smudging, however, that is incorrect. Waterproof mascaras ensures that the formula stays on when you are swimming or crying. However, smudging have nothing to do with water but everything to do with oil. Yes, you read right, oil, or otherwise known as sebum on our face. Since waterproof mascara can be easily removed with an emollient makeup remover, anything that is slightly greasy will cause waterproof mascara to smudge. It's not just sebum that can cause smudging, any moisturizer, foundation, concealer, and so on that's even a bit greasy can smudge those waterproof mascara as well. The only sure way (that I've found so far) to prevent smudging is to apply 2 layers of top coat after you apply mascara, letting each layer dry a bit in between. By applying top coat, it will ensure that the mascara does not smudge. Final Thoughts: I had hoped for better but I suppose this just reinforces the idea that expensive doesn't always mean amazing. On its own, the smudging is a killer. It smudges within 2 to 3 hours after applying, which is pretty bad. Of course, with a top coat, there won't be any smudging, however, I am always hoping to find a mascara that won't smudge on its own. This mascara also has a scent, so for those that are not into scented mascaras, this would not be the one for you. Aside from the cons, there are plenty more pros, which is why I gave this mascara 3 hearts out of 5. There are many pros but I think the ones I like the most is the lengthening, adds volume, and no clump. On my short eye lashes, the lengthening effects really works well to bring out my lashes. It adds volume without clumping the lashes, so my lashes don't look like spider legs. I think I will continue to use this mascara. However, whether I will purchase this or not in the future is still up for debate. After all, I can find a cheap drugstore mascara that will lengthen, add volume, and no clump. I still have not seen any results from the B5 pro-vitamin after using this mascara for 2 weeks. If the B5 Pro-vitamin does make a difference to my lashes, than maybe I'll consider purchasing. Otherwise, I'll most likely move on to try new mascaras. That's all for this review. 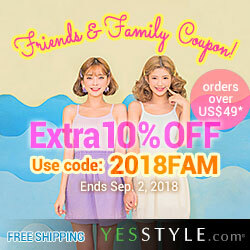 If you would like to join Influenster and have a chance to receive and review free goodies, you should check them out. Disclaimer: The product featured in this review was provided to me for review purposes, however, any opinion expressed above are honest and my own. I did not receive any other form of compensation. This post contains referral links. Full disclosure here.